3 (previously 4) ancient Yew trees located in Borrowdale. These trees are all over 1500 years old and are celebrated in Wordsworth’s 1803 poem ‘Yew Trees’. The Borrowdale Yews are a well-known grouping of ancient yews on the fellside near Seathwaite. The original four trees, immortalised by Wordsworth, are now down to three. But worthier still of note are those fraternal four of Borrowdale joined in one solemn and capacious grove huge trunks! and each particular trunk a growth of intertwisted fibres serpentine. 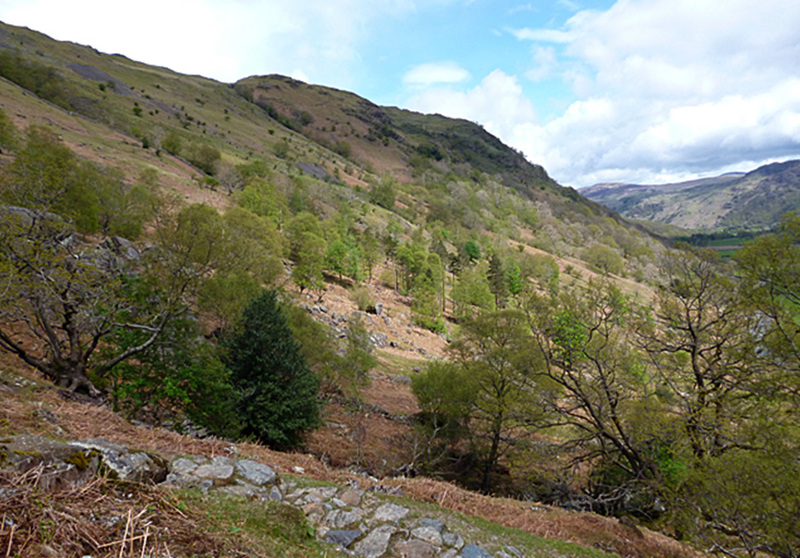 Sadly, the Yews were badly damaged in a storm in 2005 but you may still wish to seek them out – they can be reached by following a public footpath from Seathwaite.